Making revenue out of services is crucial for cloud providers. Automated billing can help the company save time of a good many hours that is generally spent, rather wasted, on manual billing. Furthermore, many other options like offering discounts, collecting business insights, error handling, reporting etc. are performed with just few clicks. Let’s have a look at these features and a few more in the following text. A ready-to-go system saves much time which you can utilize in going to market faster and starting the profits and revenue flowing in. SaaS business subscriptions based billing systems take security to a next level and consider it the top notch requirement for the system. SaaS friendly automated billing systems are optimized to meet the billing requirements of a variety of customers. Flexible billing cycle’s optimized combinations make it easier to charge customers as per their ease. Automated billing modules come in handy when your business is offering discounts. In such a system, it is easy to set up offers and process them. A billing system that is recurring have much more capabilities that manual billing cannot accomplish quickly. These include reports regarding revenue by plan, revenue by cycle, credit card decline rates, customer lifetime value, cohort analysis, monthly recurring revenue (MRR). The best thing about automation is that the financial operations are free from human error. This is particularly important in subscription based businesses like a SaaS business. Customers can be informed automatically through the system in case of any fails in subscriptions. For new business in market, keeping a decent automated billing system in place reduces the additional costs required to setup the company. Generally using an automated billing system means that it adheres to Level 1 PCI requirements. Even small companies who have started their SaaS business can comply with these requirements which are otherwise very difficult to achieve. This approach also offers a structure towards the financial operations like by taking a more robust approach. These offerings include billing cycle intervals, optional items, subscription plans, metered or tiered billing, free trials auto-renew subscriptions. MachPanel is the industry’s trusted Multi-Cloud Operations Management and Orchestration Solutions Platform. Out of many automation modules that MachPanel offers, there is one that save you time and much effort which is automated billing. 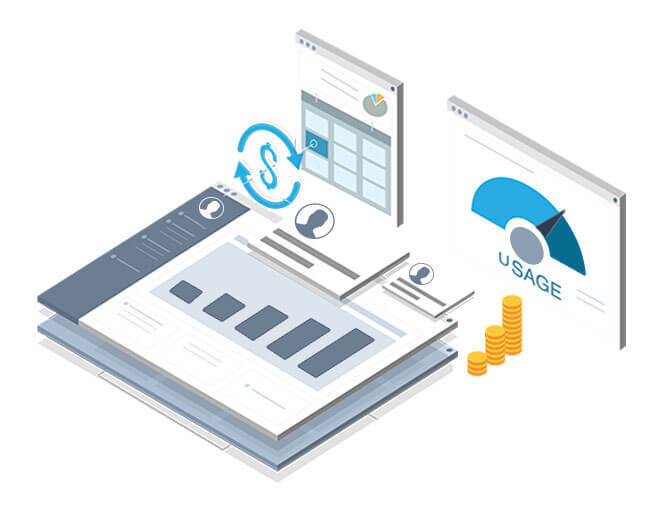 With recurring subscriptions and the feature of comprehensive reporting, the automation control panel makes management of business oriented work quite easy as compared to conventional methods. Providers get the benefit of focusing on the core tasks rather than indulging themselves into the tedious tasks related to billing and reporting. Now you know about automated billing, it is high time that you grab the opportunity of implementing this basic requirement within your cloud business and avail many other features of MachPanel. This entry was posted on Friday, February 8th, 2019 at 10:56 am	and is filed under Hosting & SaaS. You can follow any responses to this entry through the RSS 2.0 feed. Both comments and pings are currently closed.